The ADC08D1020 is a dual, low power, high performance, CMOS analog-to-digital converter that builds upon the ADC08D1000 platform. 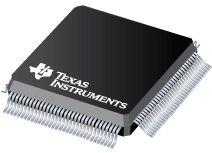 The ADC08D1020 digitizes signals to 8 bits of resolution at sample rates up to 1.3 GSPS. It has expanded features compared to the ADC08D1000, which include a test pattern output for system debug, a clock phase adjust, and selectable output demultiplexer modes. Consuming a typical 1.6 Watts in non-demultiplex mode at 1 GSPS from a single 1.9 Volt supply, this device is ensured to have no missing codes over the full operating temperature range. The unique folding and interpolating architecture, the fully differential comparator design, the innovative design of the internal sample-and-hold amplifier and the calibration schemes enable a very flat response of all dynamic parameters beyond Nyquist, producing a high 7.4 Effective Number of Bits (ENOB) with a 498 MHz input signal and a 1 GHz sample rate while providing a 10−18 Code Error Rate (C.E.R.) Output formatting is offset binary and the Low Voltage Differential Signaling (LVDS) digital outputs are compatible with IEEE 1596.3-1996, with the exception of an adjustable common mode voltage between 0.8V and 1.2V. Each converter has a selectable output demultiplexer which feeds two LVDS buses. If the 1:2 demultiplexed mode is selected, the output data rate is reduced to half the input sample rate on each bus. When non-demultiplexed mode is selected, that output data rate on channels DI and DQ are at the same rate as the input sample clock. The two converters can be interleaved and used as a single 2 GSPS ADC. The converter typically consumes less than 3.5 mW in the Power Down Mode and is available in a leaded or lead-free 128-lead, thermally enhanced, exposed pad, HLQFP and operates over the Industrial (-40°C ≤ TA ≤ +85°C) temperature range.